What mattress would you recommend tall people? I am 6’5″ and nearly 19 stone and my partner is 12 stone and 6′ tall. I sleep on my right side near (and facing) the edge. She is a side sleeper as well. I prefer memory foam to sprung mattresses, but she has never tried memory foam properly and is very attached to sprung ones. Our children have latex mattresses and I think that they would be an exellent thing to try. What sort of thing should we look at getting? Our longest mattress is 6ft 6in in length, which is very close to your height meaning that your feet may hang out. It may be prudent to look at a bespoke size mattress in terms of length, which we can make in our Artisan range only. The Latex and Hybrid foam products are only available in standard sizes. With your particular body weights, we would suggest that a medium spring tension would be appropriate and as your wife is a side sleeper, we would suggest that you look at our Artisan Luxury. 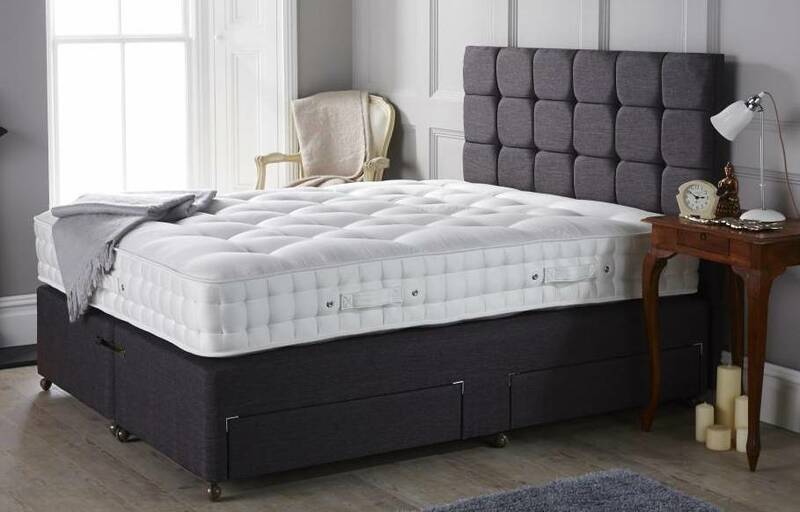 This mattress has the softest natural upholstery in the range, ideal for side sleepers and can be made to a bespoke size in terms of length, if required. Bespoke sizes attract a premium in terms of price which is currently 10% for every 6 inches or proportion thereof. In addition, bespoke sized products are not covered by our 60 day “love it or return it” guarantee. We trust that this helps, but if you require any further advice or guidance, please call our office on 0161 437 4419 and speak with one of our advisors.